The Skihaus Hochstuckli was featured in the TV show “Mini Beiz, dini Beiz”. You can still get the pork steak with fries and apple pie that we served then, but there’s a lot more to discover on our menu. 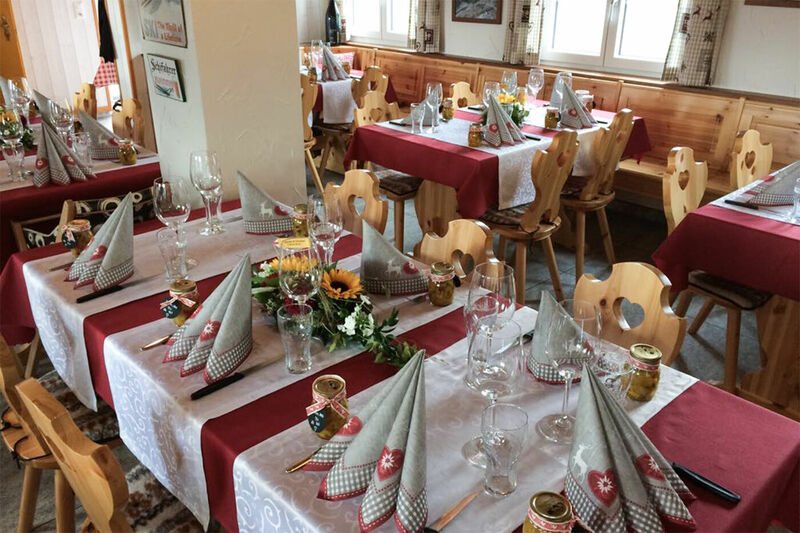 The Skihaus is located in the midst of the idyllic Sattel-Hochstuckli region, and our newly renovated terrace boasts spectacular views of the surrounding Alps. It’s the perfect spot to relax and rejuvenate after a hike or a downhill run and to taste our hearty dishes. During the summer season we offer a daily changing senior plate at a special price of CHF 17. We also tailor special banquet offers to individual groups. And we are happy to suggest your own personal menu. Those who are too tired to proceed, or just can’t bear the thought of leaving the fresh mountain air and the tranquillity behind, can stay overnight for as little as CHF 40 including breakfast.